Thin, crisp homemade crackers with a delightful rosemary flavor! 1. In a medium mixing bowl, combine the flour, salt, and baking powder. 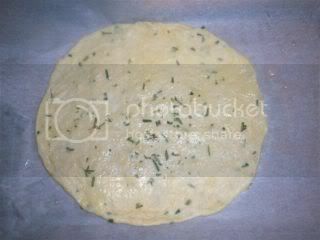 Add the water, rosemary, and oil and stir until a thick dough forms. Knead several times until dough holds together. 2. Grease 2 large baking sheets (13x18-inch) or 3 smaller baking sheets (11x13-inch). If you have silicone baking mats to line your sheets, you can skip greasing the sheets and use the mats instead.